It was a Saturday night back in 1991, my friends and I were all gathered around watching Headbangers Ball as we would do almost every weekend. That’s when it happened. Rikki Rachman, the host of the show, had just played the number five “Skullcrusher” of the week a spot rightfully owned by Motley Crue’s Dr. Feelgood video. He announced that there was a new band that he would like to introduce us all to. That band was Nirvana and the song was “Smells Like Teen Spirit”. It was the first time I had ever heard of Nirvana and it was about to change everything. My friends and I who were all listening to “Hair Metal” at the time all looked around the room at each other but no one said a word. We didn’t have to. We knew that the days of Hair Metal ruling the charts were numbered. The writing was on the wall and it was Kurt Cobain’s handwriting. It wasn’t all bad though, because of course this movement would give us brilliant artists such as Alice in Chains, Soundgarden, Pearl Jam and so many more. We would soon become fans of this new genre called grunge and would trade in our zebra striped spandex and eyeliner for flannel, matted hair, and ripped. Although this movement was spearheaded out of Seattle, there was one band that was paying very close attention from across the pond. They were called Bush and they delivered a masterpiece of a “grunge” record by way of Great Britain called Sixteen Stone. 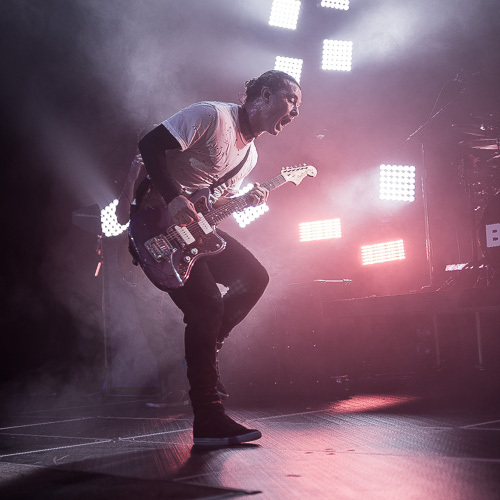 It would go on to sell more than 6 million copies and Bush would end up becoming one of the most commercially successful rock bands of the 1990s. 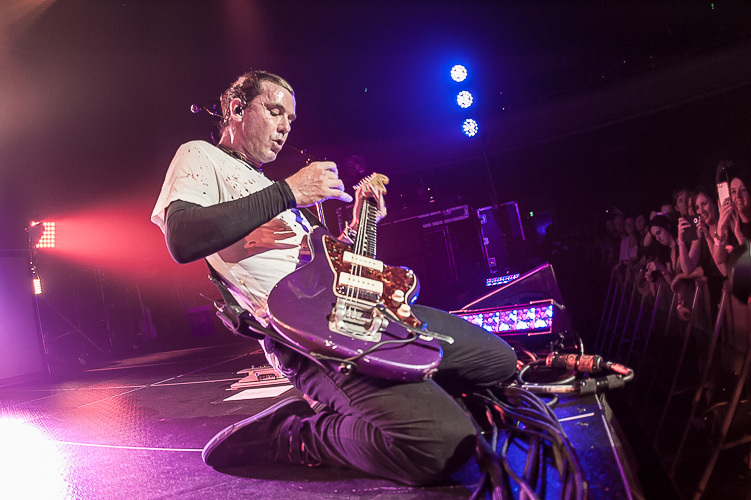 Fast forward to last weekend at The Masonic here in San Francisco where Gavin Rossdale continues to lead Bush as they kick off their latest North American tour. I haven’t seen these guys in more than a decade so I really had no idea what to expect. It was epic. Opening the set with “The Sound of Winter” from 2011’s The Sea of Memories was a perfect way to set the tone for the night. Somehow I missed this record completely but added it to my collection immediately and was not disappointed. Next up was“Bodies in Motion” from the new album Man on the Run and then straight into the classic hit “Everything’s Zen” from their monumental debut. The rest of the set was a fantastic mix of both old and new which did a very good job of cherry picking from the band’s entire catalog. 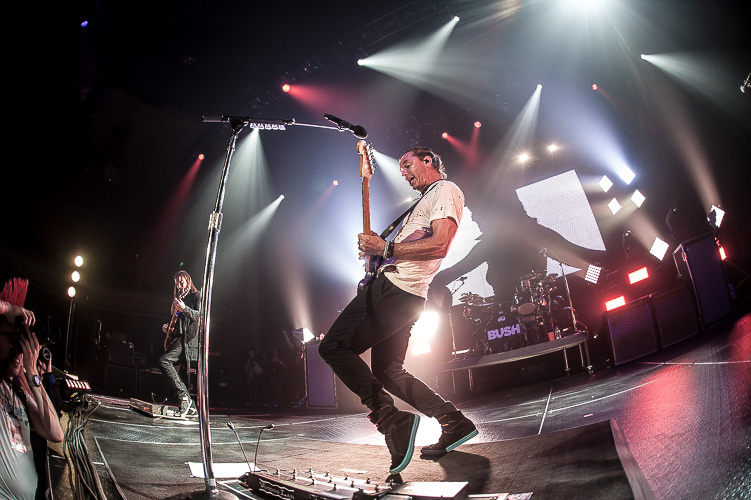 Other hightlights included a blistering version of “Machinehead” and a true to form interpretation of the Talking Head’s classic “Once in a Lifetime” Rossdale and company closed out the night with a stellar encore that included “Glycerine” and “Comedown”. 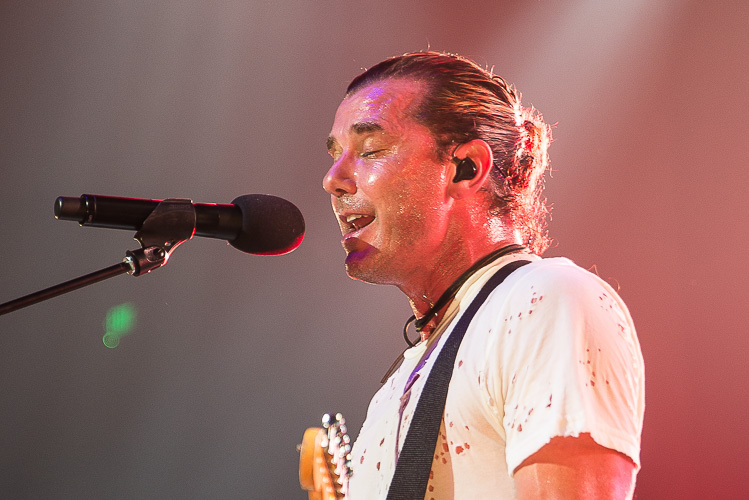 Rossdale can still write a hook and shows no signs of slowing down. The new record is as good as anything the band has previously released and definitely worth adding to your collection. One side note to add, Rossdale put together a band years ago called Institute and they made one of my all-time favorite records called Distort Yourself. It would have been a real treat to see him throw in a song or two from this gem of a release. Check our more photos in the gallery here. *a version of the post originally appeared on www.thevinyldistrict.com where I am a contributing writer.